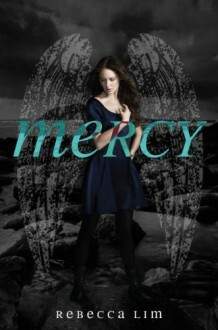 Mercy in an exile from heaven with shattered memories of who she used to be. She’s doomed to “wake” repeatedly on earth in a new body, each time assuming a new life. During the day she survives in the human world on instinct and at night her dreams are haunted by her lost love, who pleads with her to find him. But this time is different. When Mercy wakes up she meets Ryan, an eighteen-year-old reeling from the loss of his twin sister, Lauren, who was kidnapped two years ago. Only Mercy and Ryan believe his sister is still alive. For the first time since she can remember, Mercy has a purpose: she can help. So she doesn’t understand why the man in her dreams cautions her not to interfere. But as Ryan and Mercy come closer to solving the mystery of Lauren’s disappearance, danger looms just one step behind. Will Mercy be able to harness her extraordinary power in time? The first in a dazzling new series, Mercy masterfully weaves romance, mystery and the supernatural into a spell-binding tale that readers will devour. Because it's awfully hard to have a character who lives forever without turning them into an angsty vampire.